Several of the blog tour stops that I’ve been hosted at recently have asked “What is Gunpowder Fantasy?” It’s not an established sub-genre, so this question is definitely understandable. My short answer sums it up very well: Elements of epic fantasy (magic, mythical creatures, elves and vast scale) combined with rifles and railroads. 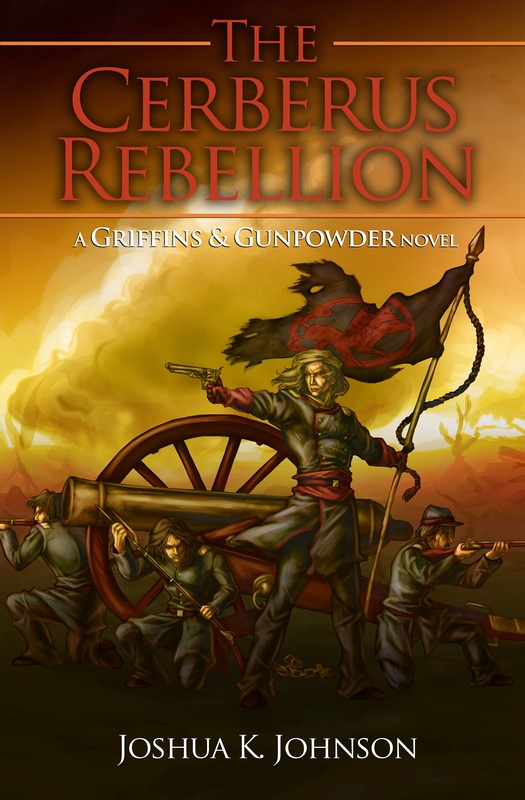 But that only begins to scratch the surface of what Gunpowder Fantasy is, and what it’s capable of. One of the things about Gunpowder Fantasy that can connect it to traditional Epic Fantasy is the setting that you build for your story. Traditional Epic Fantasy usually takes place in a medieval setting, with castles and kings and knights. In the Griffins and Gunpowder universe, the nation of Ansgar has been stagnated by a millenium of peace and prosperity. Castles dot the landscape, home to lesser lords and nobles. The King holds court over their people and pass decrees without consulting their advisors. Other nations in my world have more 19th century cultures: open towns, railroads and industry. But the main part of the story remains true to settings typical of Epic Fantasy. Setting will likely be one of the first things that you establish when you bring new readers into your world. I try to pepper aspects of Epic Fantasy with some of the more unique elements that Gunpowder Fantasy introduces to them. You want to make sure that your setting will support the storyline that you’ve developed. For me, this meant changing the size of the world when I decided to go ahead and use steampower as a method of transportation. My original nation of Ansgar was barely a thousand miles long; with the addition of railroads to facilitate travel, my storyline would have been severely compressed. So, I stretched the nation out. Another aspect of Epic Fantasy that you can carry over into Gunpowder Fantasy is scale. 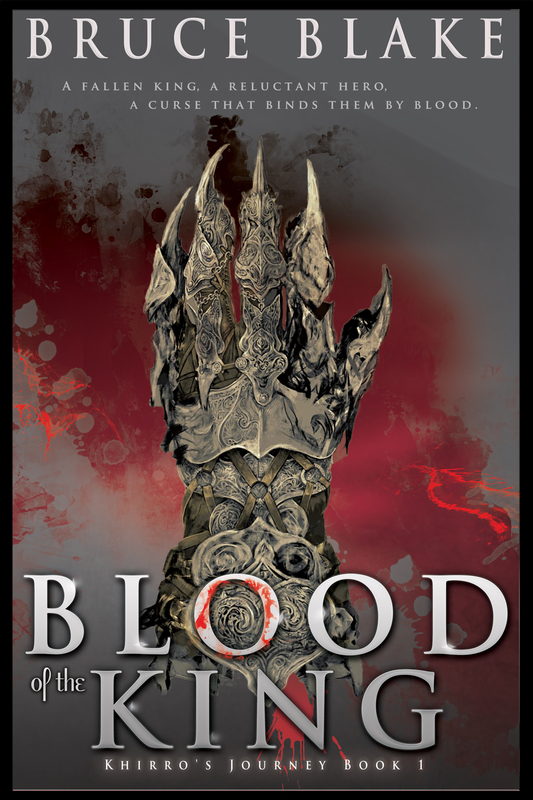 Epic Fantasy is known for telling stories of massive events that bring nations to their knees, of world-changing events that sweep up everything in their path. You can use the economy of scale in your favor, to give the readers something that they can equate to Epic Fantasies they may have read. Scale can also help you set up a world that plays host to many different stories. If you design a world that is rich in history and populated by many nations, there’s no end to the number of series and stories that you can build on your world. The world of Zaria is huge. Dozens of nations, both large and small, struggle against the elements, against each other and even against themselves across the face of the planet. The Ansgari Rebellion series will only touch on one part of this massive world; other series and stories will tell the tale of different nations, different characters. This week The Cerberus Rebellion will be featured and reviewed at five different sites across the internet. Separate from the previous weeks’ blogs, these blogs will also be running a giveaway. 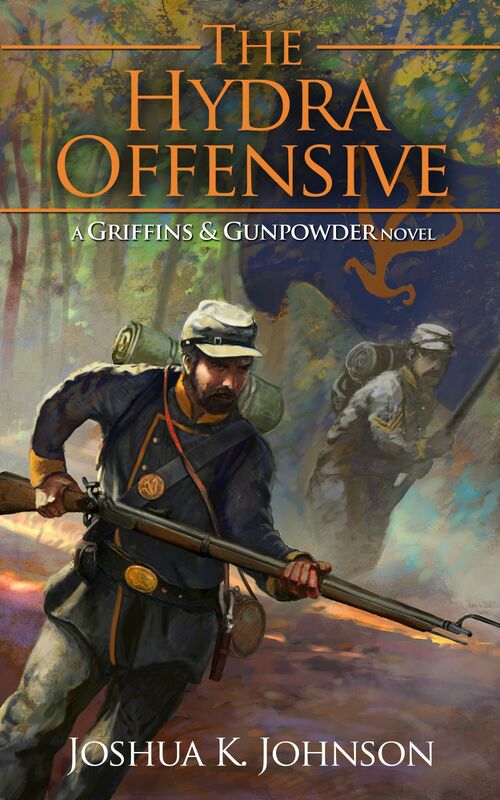 One commentor at each stop will receive their choice of one of my Griffins & Gunpowder short stories and a random commentor for this week will win a copy of The Chesian Wars, the short story collection that includes an exclusive prelude short story. Additionally, I’ll be featured on the Kindle Fire Department and Kindle Author as the Book of the Day, and will have an interview posted at Two Ends of the Pen on 9/14. So, a lot going on this week. Please swing by, show the love and leave a comment. Thanks! I have a problem that I think most creative people have: my mind is always creating new projects for me to work on. My mind keeps creating new, interesting worlds that threaten to take away time from my current project (The Ansgari Rebellion series, right now). The current distraction that is blossoming in the back of my mind is the concept of a sci-fi space opera written and released in a TV Series-style Episode format. There will a Series-Plot; inside of that, there will be Seasons which will each have a Plot; within the Seasons, each episode will have a plot. The reason that this is threatening so strongly to consume my time is the recent announcement of the Kindle Serials program. Amazon is instituting a program in which customers can pay a 1-time amount and will automatically receive all future episodes for free, and automatically. I’ve got the first three “Episodes” (approximately 50,000 words) plotted out with basic, one-sentence plot ideas for the next 3 episodes. I might take a break and get these pounded out once I get The Hydra Offensive through the first draft. We’ll see if my resolve is that strong. For my fellow writers, what’s threatening to take you away from the project that you *should* be working on?